This week I put on my literature teacher hat and attempted to lead a discussion that would leave my students rapt, enlightened, and in awe of the guiding power of literature on life. 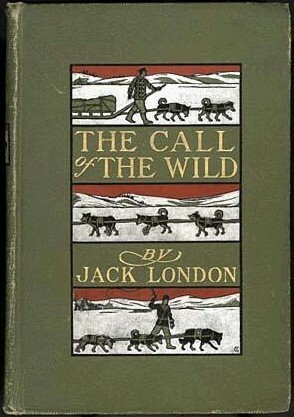 The book was Jack London’s The Call of the Wild. It follows the story of Buck, a soft Californian dog who is kidnapped and transported to the Gold Rush Yukon. In that hostile environment, he learns to survive and ultimately becomes like the wolf his ancestors were. Relatively short and jam-packed with dogs, wilderness survival, and fights to the death, this novel was sure to be a success with 7th-grade boys, right? Unfortunately, when I first attempted a literary discussion last week, I forgot one salient fact: these students are 7th-grade boys. They could barely remember the main character’s name, let alone discuss the author’s commentary on human nature. I came home discouraged, wondering how on earth my college professors had executed their scintillating discussions. My mom, as usual, had some pertinent words of wisdom for me. Human nature isn’t naturally nice, right? We’re naturally selfish, right? So these students aren’t going to scramble for literary comprehension unless there’s something in it for them, right? Fortunately, Monday was Halloween, and there happened to be quite a bit of leftover candy lying around the house. Concealing the silver-wrapped morsels in my tutoring bag like a stash of doubloons, I sat down across the table from my charges. I placed my copy of The Call of the Wild on the table. And I announced that this week’s discussion would include a new element. With a sugary reward going to anyone who answered a question, the discussion bubbled like a hot spring. The boys racked their brains for scenes from the book. I saw the 7th-grade cogs and wheels turning as I probed for the meaning beneath the text. They even invented facts when they couldn’t remember. We steered through the survival setting of the book and talked about the way it reveals the fundamentally selfish nature of dogs…and humans. They may have missed the irony, but as their candy wrappers crackled, I savored it. Do you have a story, funny or otherwise, about encounters with human nature? I’d love to hear it! Bribery always works. My client wanted me to teach her girls SAT vocab, except I knew memorizing a list of words every week didn’t mean they were actually learning them. I don’t reward for doing the basic homework, but I give bonus points if they use vocab words in their writing. I went to the Dollar Store for small prizes as they climb the ladder. Top prize is a custom My Little Pony drawn by moi. 😉 You gotta go with what works. M&M approach, I like it!